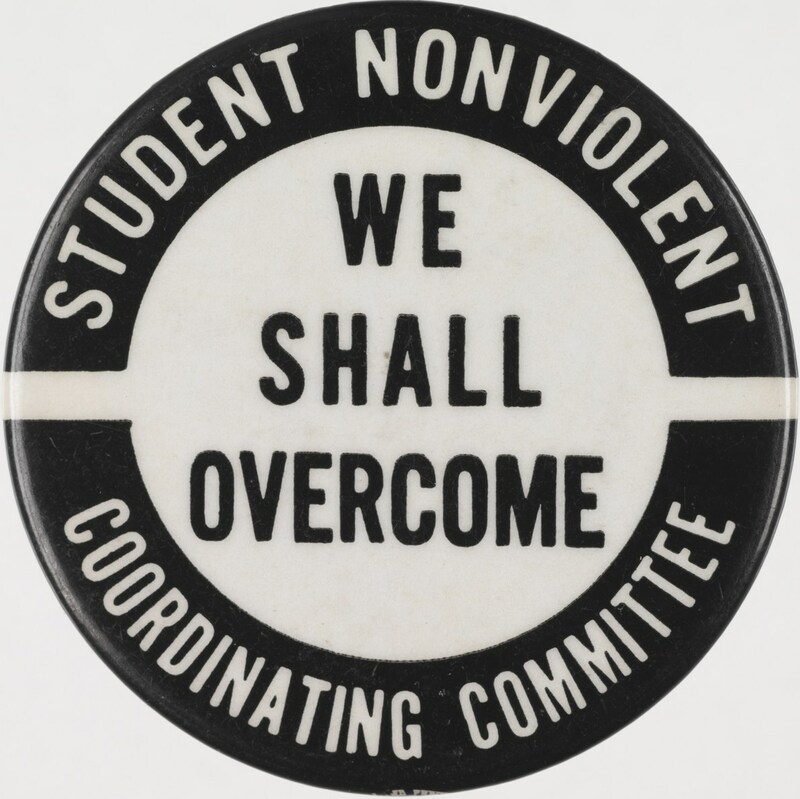 On April 15, 1960, about 150 student leaders from 10 states met at Shaw University in Raleigh for the “Southwide Leadership Conference on Nonviolent Resistance to Segregation.” The meeting took place just two months after the Woolworth sit-ins in Greensboro had launched the protest effort. The session was designed to consolidate isolated sit-in efforts and map strategy. It was organized by the Southern Christian Leadership Conference whose executive director, Ella Baker, was a Shaw graduate. The conference created the “Temporary Student Nonviolent Coordinating Committee” headquartered in Atlanta. The weekend’s keynote speaker, the Reverend James Lawson of Nashville, criticized established older groups such as the NAACP for moving too slowly and acting too conservatively. The Reverend Martin Luther King Jr. spoke to a large group in Memorial Auditorium, urging students to adopt the nonviolent philosophy of Ghandi and face jail time for peaceful protest if necessary. SNCC members were the “shock troops” and frontline leaders in the civil rights movement, especially in Mississippi in the summer of 1964. John Hope Franklin called them “probably the most courageous and the most selfless” of the civil rights workers.